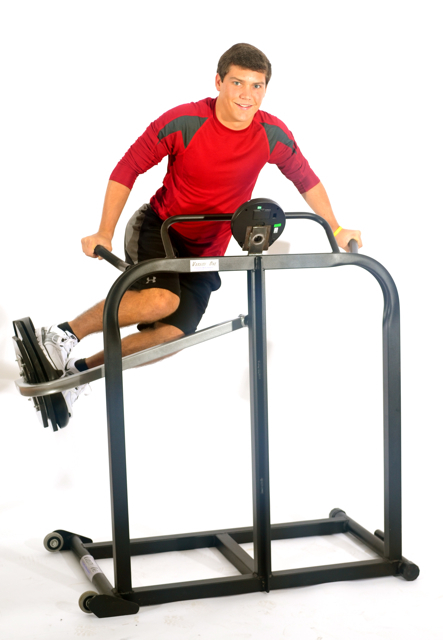 The Varsity One Core Trainer 717 machine is the ideal exercise to target the core! With lateral movements and swivel foot base, students can enjoy an intense cardio workout. The Varsity One Core Trainer 717 unique movement exercises the triceps, deltoids, trapezius, external obliques and the entire range of central core muscles including the transversus abdominis, back and pelvis. Provides a complete cardiovascular and/or fat burning workout. Resistance is created by the users body weight. If you're like a lot of people who may think that exercise means playing sports. So if you're not very good at sports, you might not be motivated to try any kind of exercise. But exercise is simply about moving your body -- which can be almost anything that gets you active, like walking, throwing a Frisbee, or vacuuming your room. It doesn't even have to involve competition. If you're not being active, you are cheating yourself from all the benefits exercise can bring you. Like did you know that teens who are more active may do better on tests? Yep, exercise not only builds your fitness, it also boosts your brain power, which can help you do better in school and improve your grades. Studies show that students who do aerobic exercise -- like walking and swimming -- have bigger brains. In particular, exercise enlarges your brain's basal ganglia (the part that helps you pay attention), even through another ho-hum chemistry class. One school has shown that 30 minutes of walking on a treadmill improved students' problem-solving skills by 10%. That could bump you up a letter grade! Being active has other benefits too: It can also help you sleep better, feel more energetic, and be less stressed. Feeling motivated to give exercise a try? Here are a few simple steps you can take to get on your way to building your brain power through fitness. Call 1-800-875-9145 to speak with one of our fitness advisors with any questions you may have. How do we put a price on our Students overall wellnes and their future - Go to FitnessZone.com today to order the Varsity One Core Trainer 717 and let's give our Students the advantage they deserve. Order your Varsity One Core Trainer 717 from FitnessZone.com today!